(Seychelles News Agency) - Air Seychelles is the highest ranking airline in the Indian Ocean region, according to the Skytrax World Airline Award for 2016. Seychelles' national carrier came second for Best Airline in Africa for 2016 with neighbouring island nation Mauritius third and Air Austral from Reunion, a French department in the region, in 10th place. Air Seychelles chief executive Roy Kinnear welcomed the announcement, describing the ranking as a seal of recognition by people and organisations outside the airline. “To receive such a ranking is truly acknowledgement that Air Seychelles is doing a great job and delivering in many aspects that receive open appreciation, awareness, attention and applause,” said Kinnear. Kinnear added that the company is extremely satisfied with the ranking as the airline faces tough competition in the Indian Ocean and Africa regions. The South African Airways was voted the best airline in Africa for 2016. The rankings gave the best airline award to Emirates, ahead of Qatar Airways and Singapore Airlines. In the top 100 airlines, Air Seychelles retained its 63rd place. The Skytrax World Airline Award is seen as the Oscars of the aviation industry and is voted by airline customers around the world. Established in 1989, Skytrax is an airline consulting and rating company based in London, United Kingdom. This is not the first time that the national airline of Seychelles, a group of islands in the western Indian Ocean, has gotten high recognition for its services. In April this year, Air Seychelles scooped accolades in all four available categories for airlines at the World Travel Awards: Best Business Class, Best Cabin Crew, Leading Indian Ocean’s Airline and for the first time in its history Best Economy Class. On the question of winning the top airline spot one day, Kinnear said that while the airline will continue to invest in technology, product and services, the people involved at both ends -- service delivery and clients -- are the deciding factors. “Going forward, we will continue our strong focus on continuously improving customer service and focusing on how our people can improve the journey satisfaction for all our valued guests,” he said. 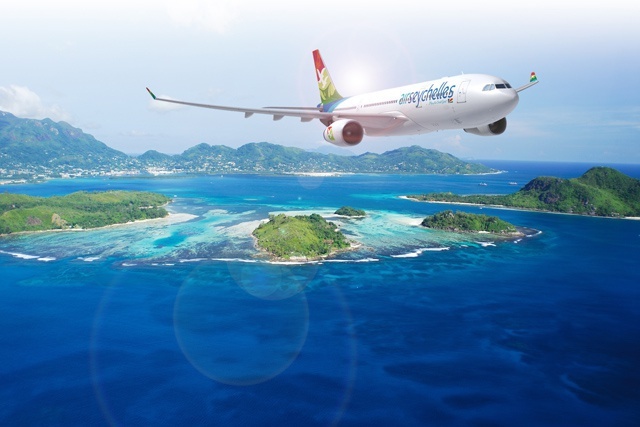 Air Seychelles, established in 1978, currently offers international flights to Abu Dhabi, Antananarivo, Beijing, Johannesburg, Mauritius, Mumbai and Paris, as well as domestic services to other islands. The airline maintains a strategic partnership with Abu Dhabi’s Etihad Airways, which ranked sixth among the top 100.